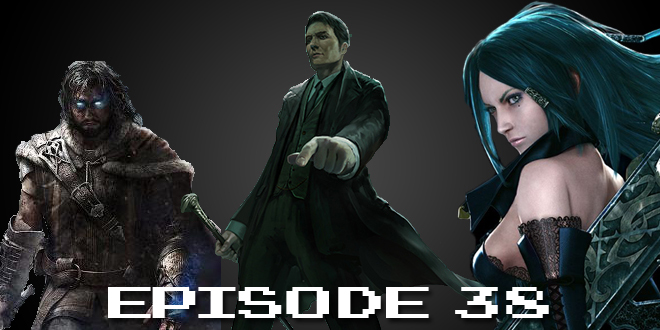 The Gamesmen, Episode 38 – The Shadow | The Gamesmen- What role will YOU play? Join Hardlydan and Amras89 for game talk and fun! This time, The Gamesmen talk about the Xbox One launch in China, Microsoft skipping 9 and going to Windows 10, the Windows 10 permission policy, Bungie patches Destiny, the Wii U getting a Minecraft clone, and Kamiya joking about Bayonetta on Xbox One and PS4. Games discussed are Mario Kart 8, Minecraft, Bullet Witch, The Raven – Legacy of a Master Thief, Sherlock Holmes: Crimes and Punishments, Middle-earth: Shadow of Mordor, Elite Dangerous, and Fable Anniversary. Help support Amras89 and the Vghub.net Extra Life team raise money for Children Miracle Network hospitals.